If you grow your own garden and are about to embark on a raw food diet or simply want to maintain as much nutritional value from your homegrown foods as possible then you might want to consider investing in a food dehydrator. Preserving that excess garden produce means that you will save money on your winter grocery bills and provide healthy food for your family all winter long. While home canned fruits and vegetables are certainly healthier than the store bought ones, they really can’t be considered raw and you do lose a lot of the vitamins and nutrients from the high temperatures needed for canning. 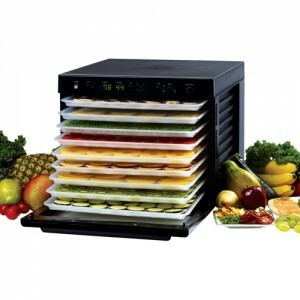 Dehydrating your food gives you the benefit of keeping those fruits and vegetables close to the raw state and preserving more of the nutritional value of your produce because dehydrators use low temperatures and fans to remove the water from the food while maintaining a raw state. These foods can then be used in soups, stews, and casseroles, eaten as snacks, or used to top salads. In addition, these handy machines can be used to make your own healthy snacks such as Kale chips or healthy fruit roll ups. They are just one more way of living healthier. Place in dehydrator 6 – 10 hours depending on what temperature you put them on and how dry you would like them. I don’t like them crisp but more chewy. I then put them in a jar of olive oil and use them on pasta, stir fry or just as is. They are sweet as can be. Centrifugal Juicer The Right Choice? 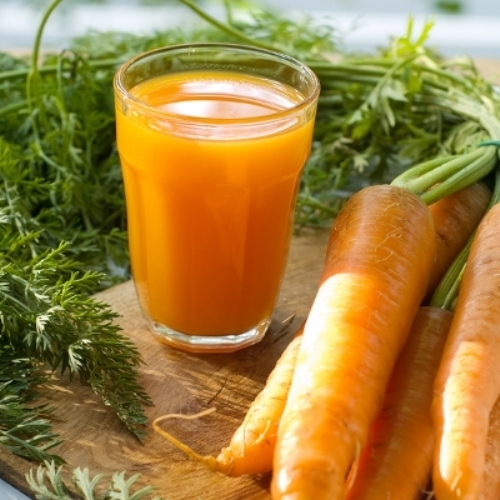 For those of you are interested in trying to make your own fresh juice but, aren’t sure if it is something you are going to want to continue doing on a regular basis then a centrifugal juicer may be a good starting juicer. This type of juicer using spinning blades to extract the juice from the produce. They makes juice fast, are usually easier to clean than other types of juicers, and fairly inexpensive so you won’t be wasting money if you decide juicing isn’t for you. On the other hand, you need to keep in mind that most of these machines can be extremely loud and that you will be getting less juice out of your pulp than is possible with the more efficient types of juicers. And most them do only one thing; make juice. Therefore, you aren’t going to be able to use this type of juicer for multitasking such as making baby foods, nut butters or sorbets like a masticating juicer like the Omega juicer 8006. 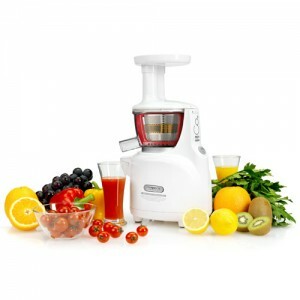 You also need to consider that the lifespan of these juicers tend to be less than most other types of juicers as well. That being said, these juicers are a great way to discover if you are going to like juicing on a regular basis and do allow for those on a limited budget to have fresh made juice without breaking the bank. 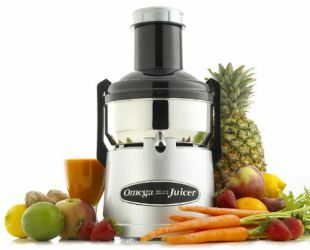 We have several centrifugal juicers in our store. Many people who make their own juice find that their family often complains that the noise of making juice in the morning wakes them up. Chances are if your family is being awakened by the juice making process that you don’t have a masticating juicer. Masticating juicers don’t spin the fruit and vegetables to get the juice out of them. Instead they grind, chew and knead the fruit which is not only a quieter process than spinning the fruit but, also more efficient. These juicers are better at getting juice from leafy green vegetables than are the centrifugal juicers as the chewing actions breaks down the fibers. You can more juice with less produce this way saving money and getting the most out of each piece of fruit or vegetable. Because this type of juicer actually chews and kneads the produce, it is also quite versatile and can be used for kneading bread dough, making pasta, nut butters, and all natural baby foods. They are also easier to clean and less messy that some other types of juicers. But best of all they are quiet enough that you can make your juice and enjoy a glass in the morning without disturbing the rest of the household. Whole Fruit Juicer Does It Really Save Time? There are all sorts of advertisements on how a whole fruit juicer can really save you time when you want to make that fresh juice at home. In fact, those ads make it sound like these particular juicers are a must have for anyone who enjoys making their own juice. To be honest, while the whole fruit juicer may be worthwhile for the few people who only want to make their own fruit juice, they are not quite as wonderful as they are made out to be. When the ads say that these machines will make fruit juice from whole fruit, they mean small to medium size fruits, not those large Granny Smith apples. The only thing that makes these juicer machines different from other juicers is the size of the feed chute, which in most cases is about 3 inches. Larger enough for a nectarine but, a little small to fit a whole orange or large apple in and forget about squeezing that regular size pineapple. 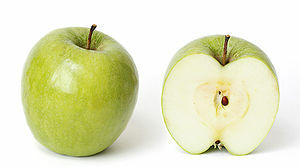 They do however, cut down on some prep before squeezing allowing you to feed bigger pieces of apple or pineapple into the chute rather than cutting so many small pieces.